Logic Hop lets you build powerful conditions by matching values to user data. When it comes to geolocation, we heard from a number of users that it would be much easier to match against lists of locations instead of creating multiple conditions. 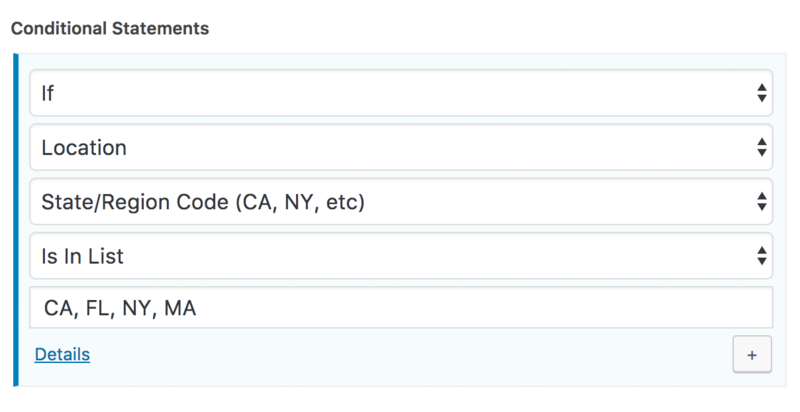 Creating geolocation conditions just got a whole lot easier with lists! Want to create a condition that only applies to residents of three states? Easy! What about people who live in specific ZIP codes? No problem! What about people in specific countries? Done! To use a geolocation list, simply select Is in List and enter a comma-separated list of country codes, states, ZIP codes and cities. Logic Hop geolocation is available with a data plan. Click here to learn more.